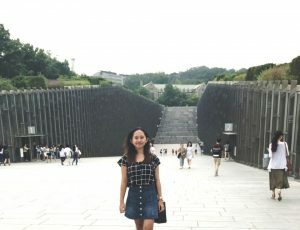 When I walked into the Lee San-Bong Hall for the opening ceremony, I was so excited to see students from 21 countries came to Ewha to spend their summer. We were so welcomed by Ewha staffs and the PEACE buddies at the opening ceremony. That day, we also had a campus tour that was organized by the PEACE buddies. The day after the opening ceremony was our first day of class. I took macroeconomics for my morning class and Korean Ceramics for the afternoon class. In the macroeconomics course, we studied not only the theory but also Korean economic development history as well as learning current issues in macroeconomic. In the middle of the semester, we had a field trip to the Bank of Korea for the macroeconomics course. 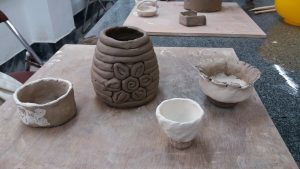 The Korean Ceramics course was one of the best course I had ever had. Before taking that course, I had never made any single pottery in my life, so I had been waiting for my first day of class. The course was for beginners so we learnt basic techniques of pottery. The good thing about this course was that we could explore our creativity and put it into our work. 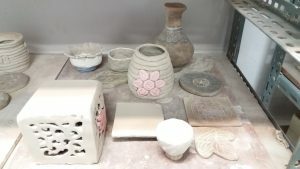 Even though the course was supposed to end at 3 p.m. every day but some students went home later because they were enjoying making ceramics too much. After four days of class, from Monday to Thursday, we had a field trip every Friday and there were also pop-up field trips on Saturday and Sunday for those who wanted to go. 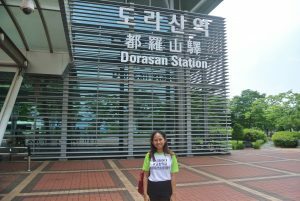 I went to all of the field trip that was organized by Ewha ISC. 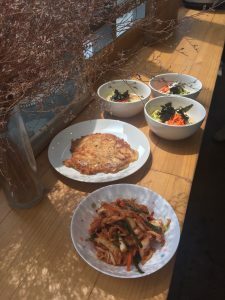 We went to Korean Folk Village, DMZ, Lotteworld, stayed for a night at the Jingwansa Temple, and made kimchi on our own. 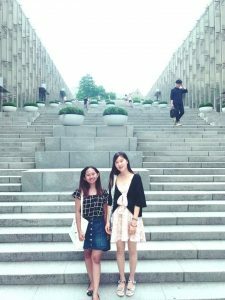 At my free time, I explored Seoul with my friends and sometimes with my PEACE buddy. 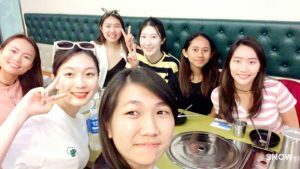 On my first week, my PEACE buddy took me and the others to a chicken and beer restaurant, the most popular eating place in South Korea. 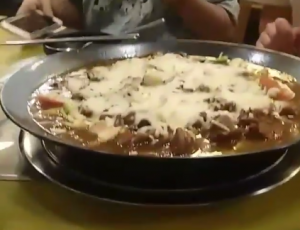 I am still amazed with the fact that there are more chicken and beer restaurants in South Korea than McDonalds around the world. Anyway, the plate was so big, it took the four of us to eat a plate of the meal, but still, we couldn't manage to finish it. I usually visited famous places in Seoul after my afternoon class or on the weekend, if I didn't have a field trip. 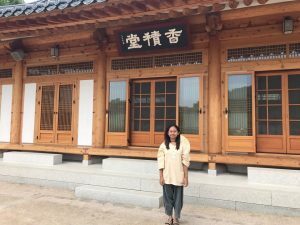 I went to Gyeongbokgung Palace, Myeongdong Shopping Street, Hongdae, Namsan Tower, Dongdaemun Plaza, Han River, and more other places. My favorite place in South Korea was Gangnam. It was a paradise for us, K-Pop and K-Drama fans. My friends and I even visited the KBS building to see K-Pop Stars. Lucky us, we met A-Pink, one of K-Pop group. 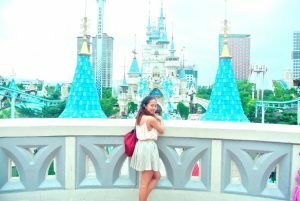 The most unforgettable moment I had in South Korea was when my friends and I explored Seoul on our own. Because none of us were Korean, we really depended on Google Maps. And some of the times we got lost at the street. Thank God, Korean people were so nice. Sometimes they even walked us to the place we were looking for, instead of just telling the direction. When you enjoy the moments, everything seems to happen so fast. I felt like I just arrived in Seoul and started my first day of the program but then I had to come to the closing ceremony. 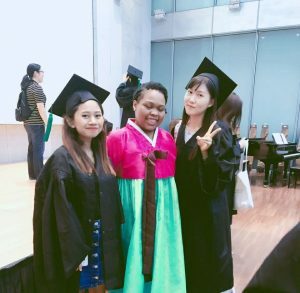 The ceremony was quite emotional for me, because I knew that I would miss every single part of Ewha and Seoul. It was one of the best summer I had ever had in my life.